He’s served as the Kremlin’s man in Washington since 2008. 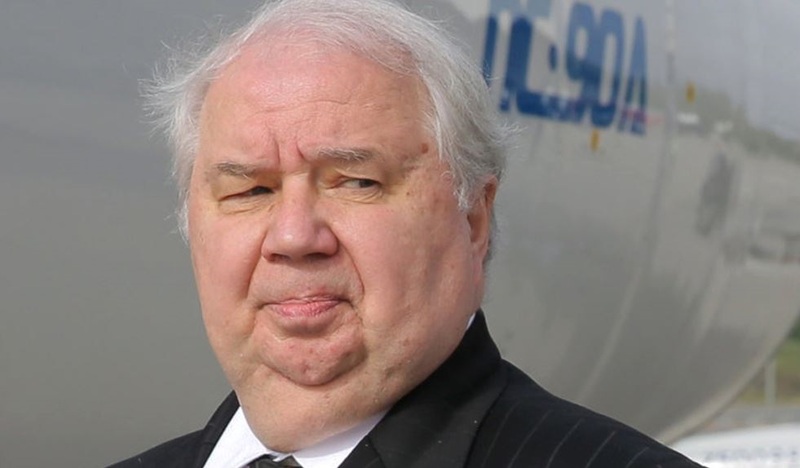 But only now has Sergey Kislyak, the low-key Russian ambassador to the United States, started making headlines as the person no one in the Trump administration seems to remember meeting. It’s not a crime for a sitting US senator to meet with the ambassador of a country that sits on the UN security council, even one that’s sometimes , like Russia. It might not even, as a technical matter, be perjury, that US attorney general Jeff Sessions ‘forgot’ about the two conversations he is now reported to have had with Kislyak in 2016 at the height of the presidential election campaign. So who is the old Russian hand at the center of a controversy that’s already claimed the resignation of Mike Flynn, the retired general who is no longer national security advisor, and might claim Sessions as well? Kislyak is a longtime career diplomat who speaks fluent English and French. In contrast to Russia’s long-serving foreign minister Sergey Lavrov, the burlier and less polished Kislyak mostly avoids the spotlight. If reports are true, Kislyak is already a lame-duck ambassador — Moscow is reportedly readying a more hard-line figure, deputy prime minister Anatoly Antonov, to replace Kislyak. But a day later, Mr. Putin said his government would not retaliate, prompting a Twitter post from Mr. Trump praising the Russian president — and puzzling Obama White House officials. On Jan. 2, administration officials learned that Mr. Kislyak — after leaving the State Department meeting — called Mr. Flynn, and that the two talked multiple times in the 36 hours that followed. American intelligence agencies routinely wiretap the phones of Russian diplomats, and transcripts of the calls showed that Mr. Flynn urged the Russians not to respond, saying relations would improve once Mr. Trump was in office, according to multiple current and former officials. So who is Kislyak and how did he come to be the Kremlin’s envoy to Washington for a decade? Earlier this month, voters went to the polls in Belarus to elect the country’s rubber-stamp parliament under its authoritarian leader Alexander Lukashenko and, in what amounts to democratic liberalization, two opposition MPs were elected to the 110-member assembly from the constituency that contains Minsk, the capital. 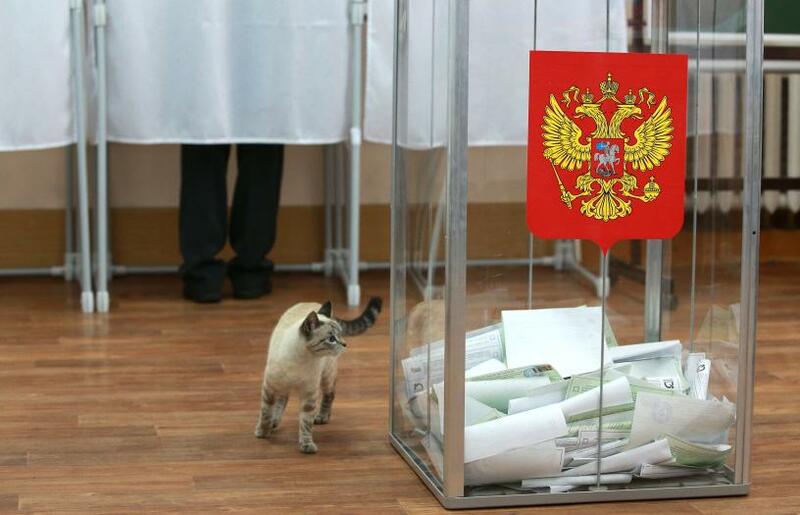 Last weekend, a higher number of opposition MPs were elected to the state Duma (ду́ма), the lower house of the Russian federal assembly, when Russian voters took to the polls on September 18. 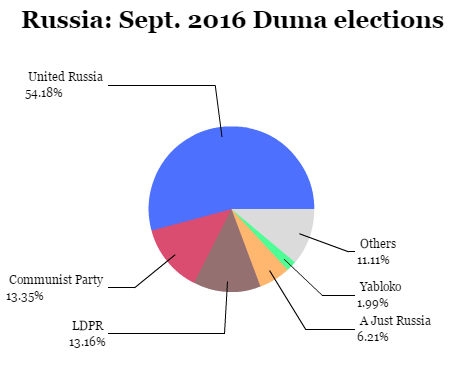 Nevertheless, despite the unfair and unfree nature of Russian elections, an electoral rout for president Vladimir Putin’s United Russia (Еди́ная Росси́я) means that Putin will now turn to the presidential election scheduled for 2018 with an even tighter grip on the Duma after United Russia increased its total seats from 238 to 343 in the 450-member body. As predicted, Putin took fewer chances in the September 18 elections after unexpected setbacks in the 2011 elections that saw United Russia’s share of the vote fall below 50% for the first time. Moreover, nearly all of the remaining seats were awarded to opposition parties — like Vladimir Zhirinovsky’s Liberal Democratic Party (Политическая партия ЛДПР), Gennady Zyuganov’s Communist Party (Коммунистическая Партия) and Sergey Mironov’s A Just Russia (Справедливая Россия) — that long ago ceased to be anything but plaint, obedient and toothless in the face of Putin’s autocratic rule, whose party logos even mirror those of Putin’s United Russia party. Putin’s liberal opponents, operating under greater constraints than in past elections, failed to win even a single seat to the parliament. The drab affair marked a sharp contrast with the 2011 parliamentary elections, the aftermath of which brought accusations of fraud and some of the most serious and widespread anti-government protests across Moscow (and Russia) since the end of the Cold War, prompting demands for greater accountability and democracy. Today, however, though Russia’s economy is flagging under international sanctions and depressed global oil and commodities prices, Putin’s power appears more absolute than ever. He’s expected to win the next presidential election with ease, thereby extending his rule through at least 2024 (when, conceivably, American voters could be choosing the successor to a two-term administration headed by either Hillary Clinton or Donald Trump). 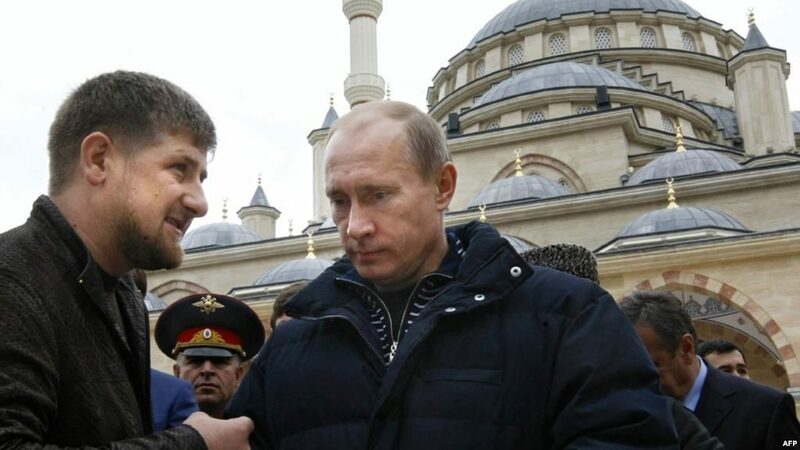 Moreover, more than 18 months after opposition figure Boris Nemtsov was murdered just footsteps from the Kremlin, perhaps the most telling statistic was the drop in turnout — from around 60% in the 2011 parliamentary elections to just under 48% this year. That’s the lowest in a decade, even as reports emerged of ballot-stuffing and other dirty tricks that may have artificially boosted support for Putin’s United Russia. Turnout in Moscow and St. Petersburg, where opposition voices have traditionally been loudest, fell even more precipitously to well below 30%. Though the low turnout might have boosted the share of support that Putin and his allies won, it’s also the clearest sign of growing disenchantment with Putin’s regime and its record on the economy (which contracted by nearly 4% last year, and is expected to contract further in 2016) and on civil and political rights. Corruption, as usual, remains rampant, even if oligarchs no longer dominate the Russian economy as they did in the 1990s. Perhaps the most well-known opposition leader today, Alexei Navalny, a blogger who was at the heart of the 2011 protests, has been notably quiet (with his own ‘Progress Party’ banned from the election), though he is expected to contest the 2018 presidential vote — at least, if he’s not banned or imprisoned. 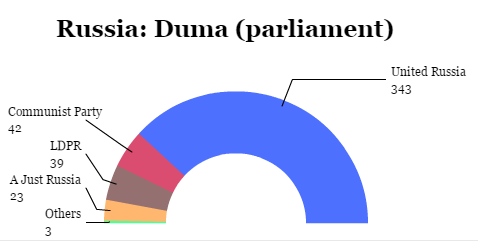 Notably, it was the first election since 2003 in which half (225) of the Duma’s seats were determined in single-member constituencies, with the other half determined by party-list proportional representation as in recent elections. Though United Russia won just 140 of the 225 proportional seats, it took 203 of the single-member constituency seats, which undoubtedly contributed to its 105-deputy gain on Sunday. 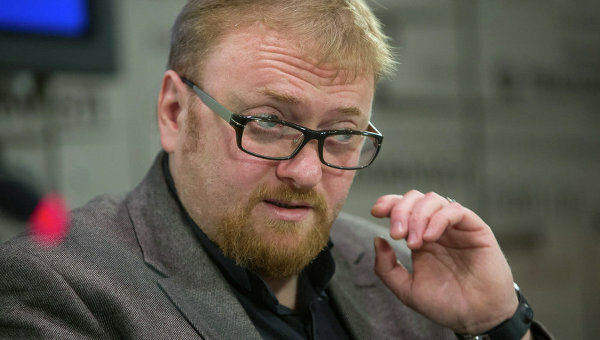 One such new United Russia deputy is Vitaly Milonov, a St. Petersburg native who has battled against LGBT rights for years, including a fight to introduce a law in the local city parliament in St. Petersburg banning so-called ‘gay propaganda.’ (For what it’s worth, Russian authorities today censored one of the most popular gay news websites in the country). For the Kremlin, though there’s some risk that the new constituency-elected deputies could be more independent-minded than party-list deputies, it’s a risk balanced by the massive supermajority that Putin now commands in the Duma. Conceivably, as Moscow’s economic woes grow, there’s nothing to stop Putin and his allies from moving the scheduled presidential election to 2017 — and there are signs that Putin plans to do exactly that. (The weekend’s parliamentary elections were moved forward to September from an earlier plan to hold them in December, scrambling opposition efforts). The elections came just a month after Putin replaced a longtime ally, Sergei Ivanov, as his chief of staff, a sign that the Kremlin is already looking beyond the next presidential race to what would be Putin’s fourth term in office (not counting the additional period from 2008 to 2012 when Putin’s trusted ally Dmitri Medvedev served as president, with Putin essentially running the country as prime minister). For Putin, the flawed parliamentary vote also comes at a crucial time for Russia’s role in the international order. Increasingly at odds with NATO, Putin thumbed his nose at American and European officials when he annexed Crimea from Ukraine in 2014, then helped instigate a civil war in eastern Ukraine that continues even today. Increasingly, Putin believes that Russia has a geopolitical responsibility to all Russian-speaking people, even those outside Russia’s borders, complicating relations with several former Soviet states. Putin has also stepped up Russian military assistance to Syrian president Bashar al-Assad, providing crucial support against Sunni-dominated militias in Aleppo and elsewhere — even as Russian and U.S. officials try to extend a ceasefire in the country’s now five-year civil war. In case you missed it (and there’s much more important news coming from Russia this week), Moscow mayor Sergei Sobyanin has won reelection heartily in what will be the biggest election this year in Russia. But don’t get your hopes up — Sobyanin’s reelection has long been certain since announcing what amounts to snap election earlier this summer. Sobyanin, Moscow’s acting mayor since 2010 and formerly Russian president Vladimir Putin’s chief of staff, easily defeated opposition activist Alexei Navalny by a margin of 51.37% to 27.24%, just enough to avoid a runoff between the two candidates. 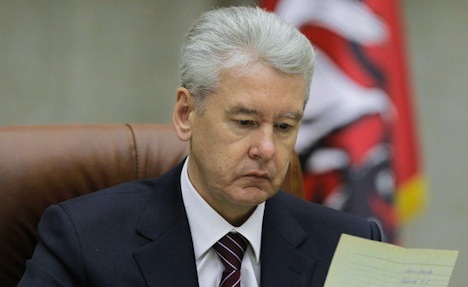 Sobyanin, who is Siberian (so not a native Muscovite), replaced longtime Moscow mayor Yuri Luzhkov, who was fired by then-president Dmitry Medvedev in October 2010. Sobyanin has demonstrated more energy as Moscow’s new mayor, and many Muscovites compare him to Luzhkov in his first years as mayor in the early 1990s — Sobyanin has worked to install bike lanes, develop parks and reduce traffic congestion within Moscow. So even while Navalny demands a recount of the vote (and it’s suspicious that Sobyanin won 1.37% more than he needed to avoid a direct runoff with Navalny), there’s a credible basis to the notion that Sobyanin commands the support of a majority of Muscovite voters. Though there’s not much evidence of fraud in an election that had elements of competitiveness, Sobyanin’s campaign controlled the state media and used other advantages to enhance benefits of incumbency. Exit polls conducted by the opposition leader’s campaign office suggest that Navalny has claimed 35.6 per cent of the vote, with Sobyanin receiving 46 percent. The opposition candidate announced that there will be a second round of voting in the mayoral election. He vowed to call on his supporters “to take to the streets” if it does not take place. If you drink a Russian Vodka like Stoli, Russian Standard, or any of the other brands listed above, switch to another brand from another country, or even a local brand from a local distillery. 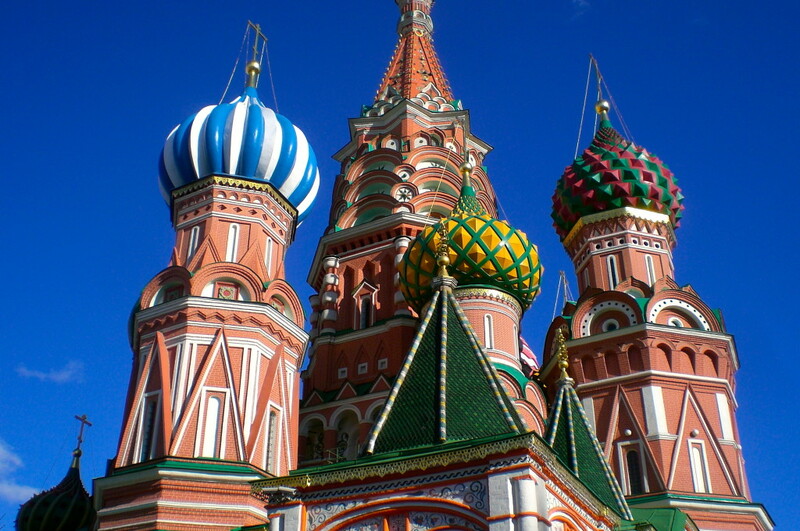 Stoli is the iconic Russian Vodka and it’s returning to Russian ownership in 2014. Other brands like Russian Standard should also be boycotted. Do not drink Russian vodka. Do not buy Russian vodka. Ask your bartender at your favorite bar—gay or otherwise—to DUMP STOLI and DUMP RUSSIAN VODKA. Stoli’s production process involves both Russia and Latvia. Stoli is made from Russian ingredients (wheat, rye and raw alcohol) blended with pure artesian well water at our historic distillery and bottling facility Latvijas Balzams in Riga… We fully support and endorse your objectives to fight against prejudice in Russia. In the past decade, SPI has been actively advocating in favor of freedom, tolerance and openness in society, standing very passionately on the side of the LGBT community and will continue to support any effective initiative in that direction. There’s some debate over whether the brand will revert to Russian ownership in 2014, but that really doesn’t matter — neither Stoli, the SPI Group or any other major Russian vodka company is owned by the Russian government. It should miss no one’s attention that much of public-owned industry from the Soviet era was privatized for fire-sale prices in the first years of Russian president Boris Yeltsin’s administration. Whether you think that the oligarchs that benefitted from those poor Yeltsin-era decisions are culpable for their own economic sins, they are not the ones setting anti-gay policy today in Russia. Many oligarchs, such as Mikhail Prokhorov, the owner of the New Jersey Nets (now Brooklyn Nets) basketball team, who made his fortune chiefly in nickel mining in the 1990s, actively supports the opposition and ran himself as a candidate against Putin for president last year. Earlier today, the European Court of Human Rights ruled that aspects of the trial against Russian oligarch Mikhail Khodorkovsky were unfair (though the court avoided the legal finding that the trial is politically motivated, as been widely alleged for a decade). Savage’s campaign would be like Russian bars boycotting Coca-Cola in 1996 in retribution for the U.S. Congress’s decision to pass the Defense of Marriage Act. If Coca-Cola happened to be a Canadian company. And that doesn’t make an incredible amount of sense. Mr. Putin’s campaign against lesbian, gay and bisexual people is one of distraction, a strategy of demonizing a minority for political gain taken straight from the Nazi playbook. Can we allow this war against human rights to go unanswered? Although Mr. Putin may think he can control his creation, history proves he cannot: his condemnations are permission to commit violence against gays and lesbians. In May a young gay man was murdered in the city of Volgograd. He was beaten, his body violated with beer bottles, his clothing set on fire, his head crushed with a rock. This is most likely just the beginning. Nevertheless, the rest of the world remains almost completely ignorant of Mr. Putin’s agenda. His adoption restrictions have received some attention, but it has been largely limited to people involved in international adoptions. It should be no surprise to anyone that Russian policy — and representative Russian views — on homosexuality is troubling, and that’s something we should all be concerned about, and many of us have been concerned about it for years. Former Moscow mayor Yuri Luzhkov initiated a tradition of using police violence to shut down Moscow’s annual pride parade that’s now seven years running (attacks on the 2011 parade pictured above). It’s fair to say that Russia is one of the least LGBT-friendly countries in the world, let alone in Europe. But it’s also one of the least friendly countries in the world to be a journalist, to serve in the armed forces, to have too dark a skin tone, to speak out against the government, to be relatively poor, to be too rich for your own good (in the eyes of the government, at least), or to be unfortunate enough to serve time in prison. And it’s been that way — for gays and for everyone else — long before the decision that Sochi would host the 2014 Winter Olympics. So right on time, the Russian government has engineered a conviction of Alexei Navalny, the outspoken critic of Russian president Vladimir Putin. His conviction stems from a truly bizarre accusation that he embezzled around $500,000 out of a timber company in Kirov, an industrial town hundred of miles northeast of Moscow, and all signs indicate that the conviction is politically motivated to remove Navalny as a Putin critic whose following is growing — and his conviction is likely to only enhance his attraction. Navalny now faces five years in Russian prison far away from Moscow, where Navalny was running to contest the mayoral election on September 8, an election that’s now even more likely to be won by incumbent Sergei Sobyanin, a Putin ally who took power after former mayor Yuri Luzhkov was pushed out of office by then-president Dmitry Medvedev in 2010. The election’s sudden timing effectively prohibited prominent billionaire Mikhail Prokhorov from arranging his complex international finances in order to contest the race, leaving Navalny as the leading prominent challenger. Prokhorov, who owns the New Jersey Nets, and who waged a presidential campaign in March 2012, has shown that his opposition is a much more delicate dance with the Kremlin than Navalny, who led full-throated protests in Moscow protesting the presidential vote and credible allegations of fraud in the December 2011 elections to the ду́ма (Duma), Russia’s lower legislative chamber. In contrast to Navalny’s sledgehammer opposition, Prokhorov has been more hesitant to cross Putin and Putin’s allies, and it was even speculated last year that Prokhorov’s opposition was entirely manufactured by Putin’s allies. 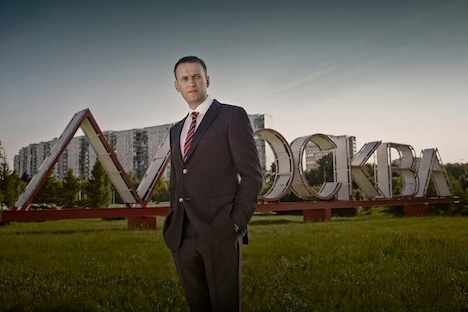 That’s probably not true — after all, Prokhorov, as a good businessman, has much more to lose from a full-throated attack on the Kremlin than Navalny — and he’s forged links with other credible opposition figures like former Russian finance minister Alexei Kudrin. Navalny had become such a radioactive political figure in recent days that Prokhorov even refused to back Navalny in the Moscow mayoral race, instead endorsing Sergey Troitsky, the lead singer of a Russian heavy metal band, ‘Corrossive Metal,’ and who is most well-known by his stage name, Pauk, which means ‘spider’ in Russian. But Navalny’s conviction today means that he’s likely to leapfrog the tentative Prokhorov and other anti-Putin activists as the central figure of the Russian opposition. Russian prisons are notoriously brutal places, rife with violence and diseases, including drug-resistant tuberculosis, and Navalny faces some amount of peril in the years ahead. Navalny’s conviction is already drawing international condemnation, and Putin will now have succeeded in elevating a one-time gadfly into a political figure empowered with the authenticity of someone who’s willing to face down Russia’s horrible prisons as the price of speaking out against Putin. Utlimately, Navalny’s trial and conviction are another indication that the Putin administration intends on being as fully authoritarian as it needs to be to hold onto power, in the same way that prominent opposition leader and former prime minister Yulia Tymoshenko remained — and still remains — in prison over politically motivated charges in neighboring Ukraine during last October’s parliamentary elections. But Putin, in attempting to silence a 21st century critic with ham-fisted 20th century methods, risks that his strategy will backfire by bringing Navalny even more notoriety and credibility. Just witness the international attention that the politically motivated trials against oligarch Mikhail Khodorkovsky commanded, the sudden 2006 murder of prominent anti-Putin journalist Anna Politkovskaya, or even the suspicions of foul play in the apparent suicide earlier this year of exiled oligarch Boris Berezovsky in London. It’s been a good October for Moscow. In each of the four former Soviet republics with elections scheduled for late September and October 2012 (Belarus, Georgia, Lithuania and Ukraine), Russia has reason to believe that its relations with each such country will strengthen. The elections have ranged in character from incredibly free, open and fair to completely rigged, and the countries fall across the spectrum of geography, economics and political development. In Belarus on September 23, Alexander Lukashenko and his allies ‘won’ all of the seats in the House of Representatives in an unfair and unfree election. Lukashenko, in power since 1994, is one of the most pro-Russian leaders among former Soviet republics; Belarus and Russia share very tight-knit economic ties, a common approach to rule of law and human rights (not particularly progressive), and Lukashenko has at various times contemplated bringing Belarus and Russia back into some form of union. Belarus and Kazakhstan, for instance, joined a formal customs union with Russia in January 2012. In Georgia on October 1, an opposition coalition led by Georgia’s richest man Bidzina Ivanishvili took control of the Georgian parliament from the party of Georgia’s president Mikheil Saakashvili. Ivanishvili, an oligarch who made his fortune in the 1990s and 2000s in post-Soviet Russia, has argued that Georgia can remain committed to economic and democratic reforms and the rule of law and strive for better relations with Russia (though Ivanishvili says he’d still like to seek Georgian membership in the North Atlantic Treaty Organization). Under Saakashvili, Russia imposed a trade ban on many Georgian exports, including wine, agricultural products and mineral water; in 2008, after provocation from Saakashvili, Russian president Vladimir Putin sent Russian troops to the breakway provinces of South Ossetia and Abkhazia, which remain occupied by Russian forces. In Lithuania on October 14, in the first round of parliamentary elections, the Labour Party of Russian-born Viktor Uspaskich narrowly won the largest share of the vote and will likely form part of the next government coalition. Uspaskich’s party also finished first in 2004, but since then, Uspaskich has been charged with corruption and spent parts of 2006 and 2007 in apparent hiding in Russia. In any event, Uspaskich’s presence in the government could bring about more favorable relations with Russia, and it could possibly slow Lithuanian accession into the eurozone. In Ukraine on October 28, pro-Russian president Viktor Yanukovych, who narrowly defeated the more pro-Western Yulia Tymoshenko in the 2010 election (who was promptly charged, tried and imprisoned on politically motivated charges relating to the 2009 pipeline crisis with Russia) is leading his largely united pro-Russian Party of Regions in parliamentary elections, while the various pro-Western political parties remain split. This autumn’s elections follow the September 2011 Latvian parliamentary elections, in which the Harmony Centre party won the largest share of the vote, a watershed for a party that derives much of its support from ethnic Russians and which actually signed an electoral pact with Putin’s ‘United Russia’ party in 2009. The result caused alarm in Washington and Brussels — Latvia joined NATO in 2004 along with Lithuania and Estonia, so a pro-Putin government in a NATO government would naturally be alarming. But despite some legitimate doubts about Harmony Centre, its anti-austerity platform attracted even not just ethnic Russians, but ethnic Latvians, and it seems more interested in elevating Russian as an official language in Latvia (one-fourth of Latvia’s population speaks Russian) than reconstituting a political union with Russia. In any event, other Latvian parties united to keep Harmony Centre out of the government. Although some Western media have already started pearl-clutching about this month’s elections, it’s important to keep some perspective — it’s not exactly the second coming of the Warsaw Pact. Putin, in 2011 as Russian prime minister, proposed a ‘Eurasian Union,’ although it’s unclear whether that has any chance of succeeding — the Commonwealth of Independent States, which incorporates nine of the 15 former Soviet republics, has not exactly prospered (and ask former French president Nicolas Sarkozy how his proposed ‘Mediterranean Union’ is doing). In recent years, Russia has reduced energy subsidies to Ukraine and Belarus, despite clearly pro-Putin governments, and it took a curiously lackadaisical approach to the 2010 coup in Kyrgyzstan. Except for perhaps Belarus, none of the Soviet republics seem to have the stomach to return to a ‘Soviet Union light’ alliance with Russia. Rather, there’s a more pragmatic realization in the former Soviet republics that even if Russia isn’t quite the superpower that it was in the 20th century, the inevitability of geography suggests that it will continue to exert some influence, for good or for ill, in its ‘near-abroad’ — in terms of economics, energy, security, and in some cases, continued cultural and political ties. As the Cold War recedes further into history, though, it’s becoming less necessary to think of having to choose between ‘the West’ and Russia as a binary matter. If former Soviet republics overlearned the lessons of 1990 and 1991, perhaps they are now learning the countervailing lessons of Saakashvili’s mistakes — needlessly antagonizing Russia (not to mention ethnic Russians within former Soviet republics) is probably counterproductive, even for more pro-reform, pro-Western leaders.